Destin is known as ‘The World’s Luckiest Fishing Village" and if you ever go fishing here, you will understand why. There is no shortage of fish in our Gulf Waters. Some of the most avid anglers visit Destin to find that big catch. On our sailing charter, we offer light tackle trolling for catch and release. Catch and release means that we throw back everything that is caught, no matter how big or small the fish. 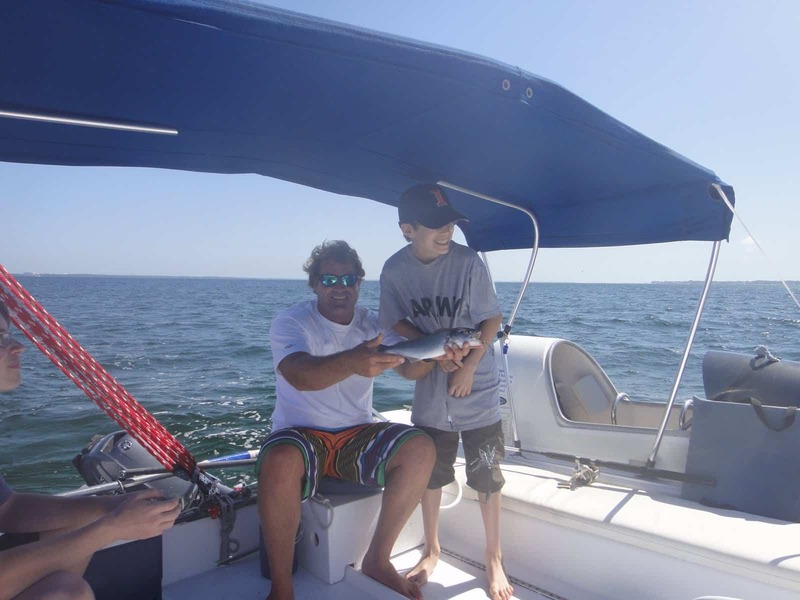 This fishing charter is fun for the entire family. A catch and release fishing trip is a great way to fish because you do not have to worry about how to clean the fish or where to store them. You just enjoy the activities with no mess. Enjoy your favorite hobby without the mess. Destin Florida gets its name as the World's Luckiest Fishing Village due to a large amount of fish that swim and are caught in the warm waters in the Gulf Of Mexico. Our Emerald Waters have many different types of fish including Cobia, Redfish, Jack Cavelle and many more. 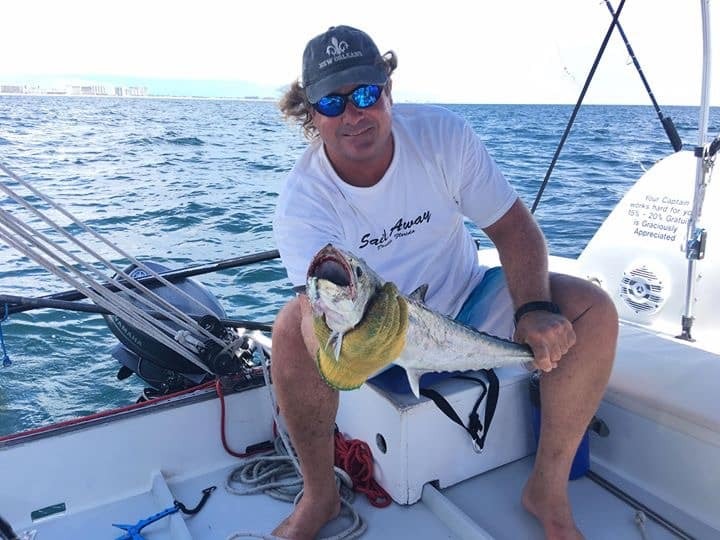 For years fishermen have been vacationing in Destin and world records for many different types of fish have been caught right here. Whether you are a beginning fisherman or an avid angler, our sailing charter can accommodate everyone. On all of our sailing charters, we provide ice-filled coolers so all you will need to bring is your favorite beverages and snacks. Alcohol is permitted on our boat. Of course, don't forget the sunscreen and your camera so you can capture all your catches. You can choose multiple sailing adventures for a fun-filled day at sea. Customize your sailing charters when booking with us. Call us today to book your Fishing Charter. We look forward to sailing with you.